Immediately after Hamit Bozarslan published his “Political Sociology of the Middle East” in French in February 2011, the whole Arab world — traditionally described as a region unlikely to change — was turned upside down by a series of revolutions launched, not by external intervention as was expected due to the Iraq experience, but by its own internal dynamics. As the seemingly most persistent authoritarian regimes were torn apart one by one by “ordinary” Arab men and women, a worldwide controversy over the causes and possible consequences of the Arab revolutions began. The well-known conspiracy theory, which degrades the revolutions to the overt or hidden intentions of international actors, was immediately proven false, as Western forces were more than sorry at the ongoing collapse of their authoritarian allies, and hesitant to support the revolutions since the security of their interests in the region could be threatened by a possible rise in Islamic/Islamist actors from democratic elections. The hypocrisy over the discourse of democracy and human rights could not be more blatant. By underlining the preceding economic crises in the region, the theorists of Homo economicus, on the other hand, saw in the Arab revolution nothing but the usual “rebellion of the stomach”; as if the behavior of those “ignorant masses” were determined solely by economic interests, as if they could not have any transcendent ideas (freedom, democracy, justice etc.) or emotions (solidarity, community, fraternity etc.). The rioters, however, displayed the moral economy of the “ordinary” people in an extraordinary act, proving without doubt that man is (not only also, but primarily) a political and emotional (thumos) social being. It is now clear that the process of demobilization and apathy in the Arab world that lasted for 20 years came to an end in 2012, but the revolutions are still far from completion. Regarding the ongoing change in the Middle East, Bozarslan’s study gives crucial insight not only by including Turkey in the comparative analysis of the region — with reference to the ruling Justice and Development Party’s (AK Party) political power, the ongoing process of de-militarization, and the Kurdish question — or by predicting the use of raw coercion at times of crisis by those regimes for their reproduction, but also for his additional paper in the Turkish edition, i.e., an analysis of the causes and possible consequences of the Arab riots from the point of view of political sociology. In this additional article, the reader will find the typology of the Arab revolutions; the reasons for the success of the Tunisian and Egyptian revolutions due to the hegemonic role of their capitals; an explanation of the positions of the social classes and the army towards the revolutions with reference to the concept of a “cartel”; the subtleties of the domino effect, illustrated by clarifying the similarities and differences between the countries of the region; an analysis of the rising Islamic/Islamist actors; the use of new social media; and the need for the Arab left. Reference: Özcan, Ahmet (2013). “Analysis vs. Prediction: Before and after the Arab Spring”, Turkish Review, Vol. 3/2, March-April, pp. 214 – 215. G.W. Hegel, Elements of the Philosophy of Right, H. B. Nibset (trans. ), Cambridge: Cambridge University Press, 2003, p. 23. For the concept of “moral economy”, see: E.P. Thompson’s analysis of urban unrest in the 18th century England: E. P. Thompson, “The Moral Economy of the English Crowd in the Eighteenth Century”, Past & Present, 50, 1971, p. 76-136. All translations belong to me. 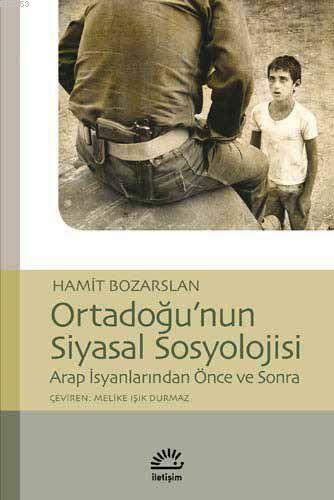 Hamit Bozarslan, Ortadogu’nun Siyasal Sosyolojisi (Sociologie Politique du Moyen-Orient), Melike Isık Durmaz (trans. ), Istanbul: Iletisim Yay., 2011, p. 130. Ibid, pp. 98 – 100. It is crucial to note that Bozarslan interpreted these authoritarian regimes as the products not of Islam or classical Middle Eastern political culture, but of modernization processes in the region. Ibid, p. 96. Respectively, ibid, p. 45, 101, 102, 110. Every crisis, by its very nature, is an opportunity, especially for the one that is in crisis. Trusted leader????? We have lined the poktecs of these ‘leaders’ while they continue to let their citizens live in poverty. What they didn’t keep for their own pleasures was used for guns,bombs,and rockets, to keep their people in line, to fight Israel, and to support terrorists. Sure, keep that money flowing!